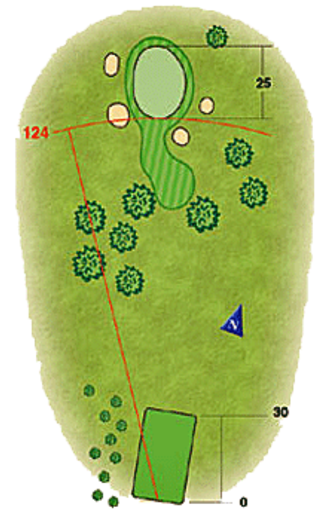 This is the shortest hole on the course, but don’t be deceived by its length. A precise tee shot is required. Anything to the right side of the green leaves a tough down hill putt.